So this week on Fb I posted a challenge that I knew would annoy many people I care about. Posted it anyway — not because I enjoy annoying people, but because it is an important subject that too many people have not thought about. Here’s what I said in my opening post. Discussion today will probably ruffle a few feathers among my friends. 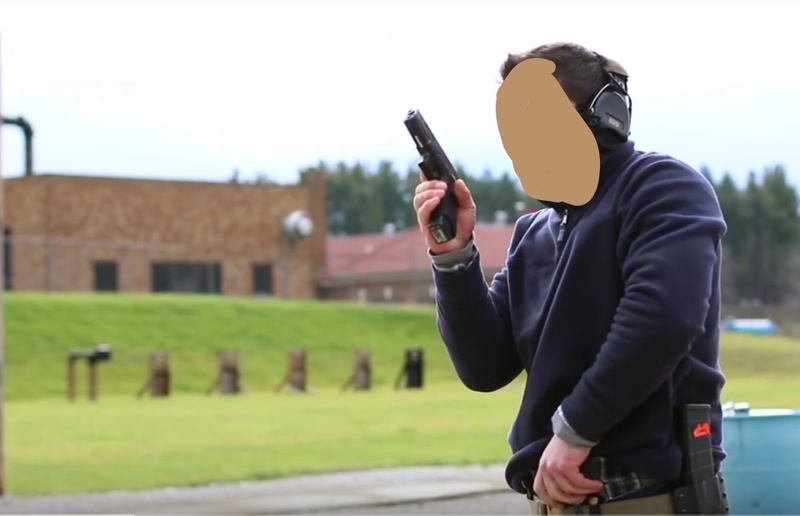 So I’m gonna draw your attention to it: I’m calling out the pointing-over-the-berm reload as a fundamentally unsafe practice that should not be permitted on outdoor ranges. This was sparked by two things. First, there’s the news story of the 8 year old boy struck by a bullet that escaped from a range near where he was picking apples. As that boy and his family could tell us, “I didn’t mean to do that” does not erase the pain and trauma of a gunshot wound that harms an innocent. More to the point, there’s this. Over the past couple of weeks, I have been reading through the literally hundreds of Unintended Discharges (NDs, ADs, and combined causes) that I have collected over the past few years from gun forums and elsewhere. There are far more instances where a gun fires upon slide forward (eg, “slam fire”) than I thought, and many instances where people in a hurry or new to the gun suffer a sympathetic squeeze reaction and fire the gun when they intend to either drop a slide or release a magazine. In most of these cases, the only thing that prevented serious injury or death was that the user fortuitously (sometimes deliberately, but more often fortuitously) pointed the gun in a safe direction. Why are so many instructors and accomplished shooters encouraging people not to keep the gun pointed in the safest possible direction — at the berm — during the reload? What benefit could possibly outweigh the risk of deliberately, repeatedly, and habitually violating one of the fundamental safeguards against death or injury while handling live firearms? Below, I have added some screenshots captured from random videos. I’ve scribbled out faces because I honestly don’t want this to be about the people. It is simply a question of whether this widely-taught, widely-accepted practice is really a good idea, and want to be clear as to what we’re talking about. Some of these images were captured from match videos, while others came from instructional ones. So that’s the technique we’re talking about. And the question is, do the benefits of lifting the muzzle over the range during the reload outweigh the loss of a fundamental safeguard — the safe-direction rule? Is the risk of using this technique so low that the question of keeping that safeguard in place should never come up? Are we thinking that “somewhere over the berm” is as safe a direction as “pointed directly at the berm”? Lots of lively discussion followed this question. Well over 100 comments followed in the subthreads below the post, most of it thoughtful commentary. 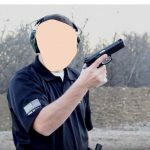 You should probably go read what everyone said about this subject, especially if you are ever responsible for the safety of others on a range. Lots of different perspectives and really important things to think about when a person chooses a “safe direction” to point their firearm on all different types of ranges. Bear with me, all – this is going to be a bit long, broken into a couple of comments. First, a very heartfelt and sincere “Thank you!” to everyone who posted a thoughtful comment on this post, whether I agreed with it or not. As long as you provided food for thought and were not insulting of other participants, I really did appreciate hearing from you. Thanks. So this afternoon, I have been thinking about the categories of reasons I might accept versus categories of reasons I would … categorically … reject, for deliberately pointing a handgun muzzle over the berm during a reload…. Categories of reasons that I reject out of hand include “the fundamental safeguards don’t apply to me because I am too smart to make a mistake,” “the danger from an escaped round isn’t that extreme”, and “this is more convenient and/or faster.” I also reject “the rules of my sport do not forbid this” – because that’s begging the central question of whether sport and range rules should forbid the practice. I might also accept arguments based on replacing the layer of safeguard provided by the safe-direction rule with some other safeguard. For example, during a revolver reload, the gun points skyward – but that *only* happens once the shooter’s fingers have replaced working parts of the gun with the cylinder open. And once the rounds are in place, the revolver points only at the ground or backstop, *not* over the berm. So the safeguard of muzzle direction is replaced by the shooter’s fingers replacing the cylinder, and by the gun being unable to launch a round at all, during the critical phase. With that in mind, I was thinking about whether I might accept, “but the gun is locked open, and the shooter’s finger is off the trigger” as a valid reason to allow the muzzle to point over the berm. The problem is, a walk through actual shooter behavior as recorded via GoPro and posted on YouTube put the kibbosh pretty firmly on that idea! If anyone would like, I’d be happy to send you a representative link of a shooter moving through an action pistol stage, who puts finger on trigger multiple times during the reload [with his muzzle over the berm in most instances], but never catches a correction by the RO. I am not trying to be coy by not posting the video right here right now. I simply do not want to make this discussion about people and personalities. I want to keep it centered on human behavior factors and risk mitigation related to that. The thing is, I’m not just talking or thinking about match conditions during this conversation. I am thinking about the full process that includes everyone — from the naive shooter who searches YouTube or elsewhere online to see how to reload, to the low or mid skilled guy or gal looking for info on defensive shooting skills, to the mid to high skilled person wanting to get better at a favorite gun game. I’m a fan of the ‘layers of safety’ concept. So when I see or think about handling firearms in various situations, I often ask, what layers are in place here? Not just ‘here’ as in what might be shown on any particular video or during any particular match or at any particular range. But ‘here’ as in what we’re teaching people across the spectrum, and then expecting them to do when there is no more-experienced person to watch them do it and correct them if they do it in a completely predictable way that does not have those safety layers in place. As far as the sport goes, every shooting sport does have at least a few bad ROs in at least some clubs — whether that’s inability to see, or unwillingness to act, or some other cause. So no matter what we choose to put in place as a safety layer, it cannot rely 100% on a range staffer catching and stopping bad behavior. That plan only works in the match environment, and (as we see from match videos) not anywhere near as perfectly as it ought. Asking shooters to analyze their particular range or location for environmental risks before they choose whether or not to elevate the muzzle is a reasonable thing to do. Asking shooters to comply with local ranges that have done that assessment, and that request muzzles be kept below the berm, is also reasonable. But shooters refusing to engage with ranges that have that requirement is not at all reasonable, given the nature of how lawsuits over escaped rounds typically go for the range owners – and also given the nature of a quick risk assessment from someone who really wants to do a thing, versus a perhaps-more thorough one from a different source that perhaps has more skin in the game for getting it right. 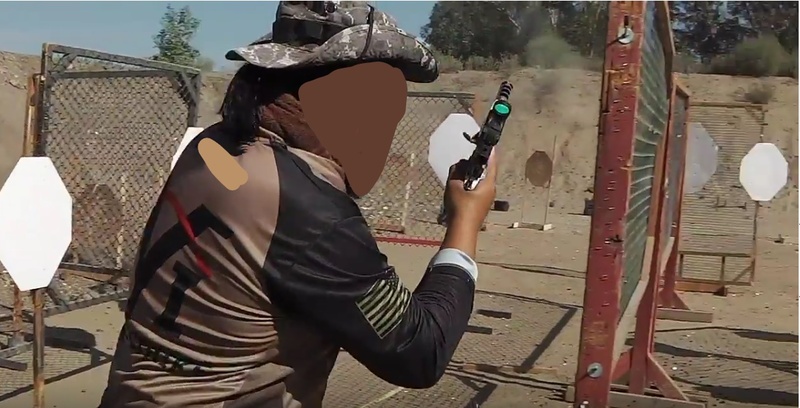 A few people said, or implied, that we should not expect highly skilled shooters to keep their muzzles below the berm, since (we believe) experienced and highly skilled shooters do have the skill to keep their fingers off the trigger and also not allow the slide to go forward until the muzzle was again below the berm. The problem with that claim is two-fold. 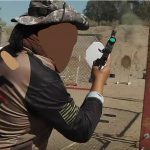 First, as many of my competitive friends are fond of telling me, matches are where we figure out the best, fastest, most reliable shooting and gunhandling techniques. 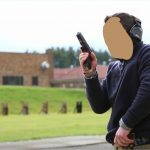 If (since) we claim that the best techniques develop from being tested in competition, we have to see what effect those techniques are having on the average people who copy those techniques for their own defensive use or even just for casual plinking. If those competition-developed techniques cannot be ported into other situations that include use by low or mid skilled shooters, we should be willing to say, “NO, nobody should copy these competition-tested techniques until they’ve reached __ level of skill.” But that would completely negate the argument that the techniques developed in competition are the best techniques for even non-competitive shooters to use. Second, closely related to this, most of the action shooting sports allow and even encourage speed reloads, not slide lock reloads — which means the gun is not always empty and in slide lock as it lifts over the berm for a reload. Lifting the muzzle of a loaded, in-battery gun over the berm while dropping the magazine does increase the likelihood of the shooter firing a round due to the sympathetic squeeze reflex. This becomes especially serious when we realize that the same body mechanics used for a simple reload will also come into play when a shooter needs to clear a malfunction. Several people observed that only broken guns slamfire. That’s not really true (dirty guns do, too). But in any case, the body mechanics a shooter uses for clearing a malfunction are almost always the same ones the shooter uses for a reload. And of course, some malfunctions are cleared by a reload. So now we’re going to have the shooter working with a gun that we know is not functioning as intended, and we’re going to accept that the shooter may point the muzzle over the berm while the shooter clears the malfunction and (perhaps) reloads. Even though the shooter has not yet diagnosed the reason the gun malfunctioned, we know that the gun is not in this moment working the way it ought. And we are going to encourage him or her to point that gun over the berm, accepting that muzzle-direction risk because only a broken gun will slamfire after the shooter inserts a fresh magazine? So that’s pretty much where I am at right now. I still have not seen anything that will convince me to change my mind on this, but (for the first time), I have heard some arguments that could convince me that reasonable minds could differ on this critical topic. Thanks for whatever part you played in that. One more thing. Shortly after the discussion on my page had mostly wound down, a friend of mine sent me a link to a match video. 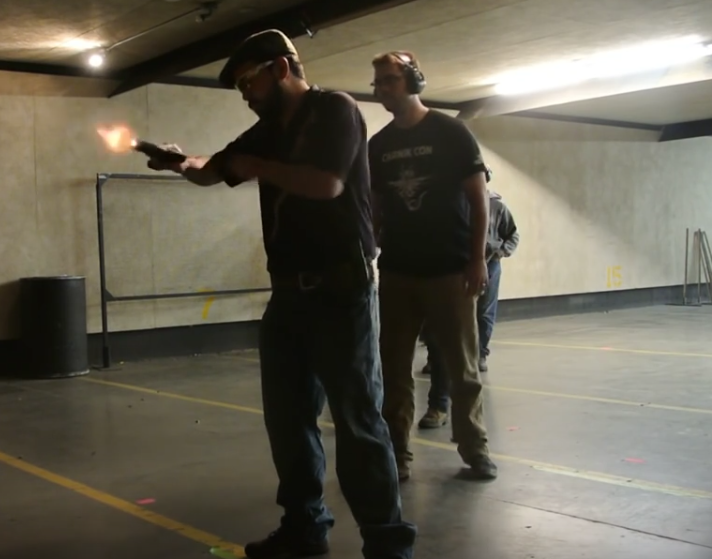 In that video, we can see a slamfire happen during a match on an indoor range. The shooter had the gun pointed at the backstop (not at the cement floor or the baffled ceiling) so the unexpected round came safely to rest without hurting anyone. My gun club used to have a range on city property, shooting into future landfill. As the landfill was a mile or so downrange, nobody noticed when the “future” part went away. Regardless, we had strict “all bullets in the berm all the time” rules. One day in 1994 the city police department took over the range for training. 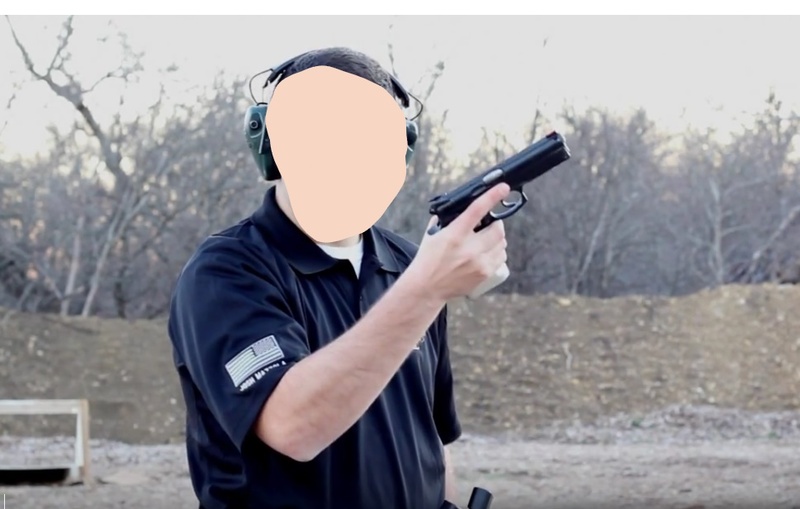 A “highly-skilled” agent from a certain federal alphabet agency put a 9mm over the berm and into the shoulder of a landfill worker way downrange. Everybody was sorry, everybody said it wasn’t our fault, everyone agreed we had proper rules in place and enforced them; but the range was shut down whenever the landfill was open, all weekdays and Saturday morning. Luckily the club’s board had seen the handwriting on the wall, and after several months we were able to purchase our own property, where we’ve operated without incident for more than 20 years. And all our bullets go into the berm. The First Rule* is Always keep the muzzle pointed in a safe direction! There’s nothing in that rule about the gun being loaded or unloaded, on safety or off, open or closed, assembled or disassembled. Always = Always. *I use the NRA rules. YMMV.